It’s difficult to navigate through all the grains today, especially if you’re trying to go gluten-free. In the past, products were manufactured with a few basic types. All were loaded with gluten. Today many alternatives are available for those who have sensitivities. Millet is an option that is classified as whole grain and gluten-free. 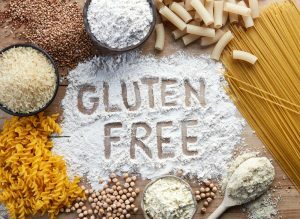 Gluten sensitivities and celiac disease are prevalent. The number of people born with these conditions increases yearly. It can make sourcing the nutrition you need to achieve your health goals challenging. A large percentage of food products on the market are not safe if you suffer from these issues. Manufacturers are often sneaky and disguise gluten under other names. Marketers use labeling terms which confuse the consumer. Some food naturally contain gluten. It is also added to sweets, processed deli meats, and pre-mixed seasonings. Your glass is not safe either. Gluten is often included in alcoholic beverages nutrition shakes energy drinks. Simply avoiding grains is not a complete solution. Gluten is an inexpensive and commonly used additive. It functions as a stabilizer, thickener, and emulsifier. A perfect example is the famous self-basting turkey. Gluten is included as a flow agent in the basting solution. – Most grains and flours contain gluten. – Gravy mixes and condiments include sensitivity triggers. – Sliced meat from your local deli is unsafe. – Those which are highly processed do too. – Many snack food contain gluten. The indigenous people of Africa and Asia have eaten millet for unknown generations. The largest portion of harvested crops also come for that area. Some say that millet was more popular than rice at one point in the pages of history. Estimates say about one-third of the entire world consumes this staple food. You receive 22 grams of protein and 17 grams of fiber from one cup of cooked millet. A common problem among celiac suffers is obtaining adequate amounts of dietary fiber from their diets. As a whole grain, if also offers a wide range of vital trace minerals. 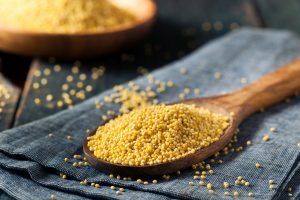 Scientists say that routinely eating millet can provide several health benefits. It can reduce your cholesterol numbers. Millet can help curb the development of type 2 diabetes. It can also be an excellent tool for glucose co-management. It offers antioxidants and produces microbial effects. You can prepare most anything with millet that is traditionally used in grain and/or pasta dishes. This includes noodles for tossing as well as flours for baking. Many prepackaged snack food are produced with millet. Note: It is important to carefully check the ingredient label on processed food. Just because it says it is made with millet does not mean it is gluten-free. It may also include wheat or some other triggering ingredient. You can find flours, pasta, and snack food at your local grocer, health food store, or online. Try it as a replacement for couscous or rice in your favorite meals. Check out some of the ideas below for a bit of inspiration. Traditionally millet is found as little yellow beads. It offers a lovely texture and a bit of light flavor. Millet is not difficult to prepare and cooks relatively quickly. Two standard methods are used to prepare millet. Each produces a different texture for various recipes. One technique creates a fluffy, drier texture. The other method produces one that is moister. Many people tend to soak millet for 8 hours prior to cooking it, but you can skip this step. The amount of liquid you add to the recipe determines the dryness of your results. The basic method of millet prep is two cups of broth, stock, or water for each cup of hulled millet. Bring your liquid ingredients to a boil. Add your millet and cover. Reduce the cooking temperature to about medium-low. Allow your millet to simmer, covered for around 20 minutes. All the liquid will be absorbed when it’s done. Your local grocery store probably offers several gluten-free alternatives. For a bit more versatility, try visiting your hometown whole food store or perusing a few sites online. You can find grain options for baking and cooking. You can also purchase a wide range of snack food too. – Most all fruits and veggies are naturally gluten-free. – Potatoes and corn don’t generally trigger sensitivities. – Corn contains corn-gluten which may not be safe for all celiac sufferers. – Sensitive individuals tolerate most naturally raised and processed meats as well as wild game. – The same applies to poultry, fish, and seafood. – Milk and many dairy products are generally safe. Nuts and legumes are gluten-free. – Most seeds don’t trigger sensitivities. There are many types of gluten-free baking ingredients. Some are also classified as whole grains. Don’t be fooled by the term wheat free. This does not guarantee that something is also gluten-free. *Amaranth is considered whole grain. One cup contains 46 grams of carbohydrates and 9 grams of protein. *Quinoa is also classified in this category. The same size serving provides 15 grams of carbs and 9 grams of complete aminos. *Teff is an ancient staple which is whole grain. One cup offers 88 grams of carbohydrates and 16 grams of protein. *Buckwheat is a popular pseudo-grain. A one cup serving has 122 grams of carbs and 23 grams of complete amino acids. *Oats are considered whole grain. One cup contains 103 grams of carbohydrates and 26 grams of protein. *Many types of rice are gluten-free. Brown, white, and wild rice are all included on this list. 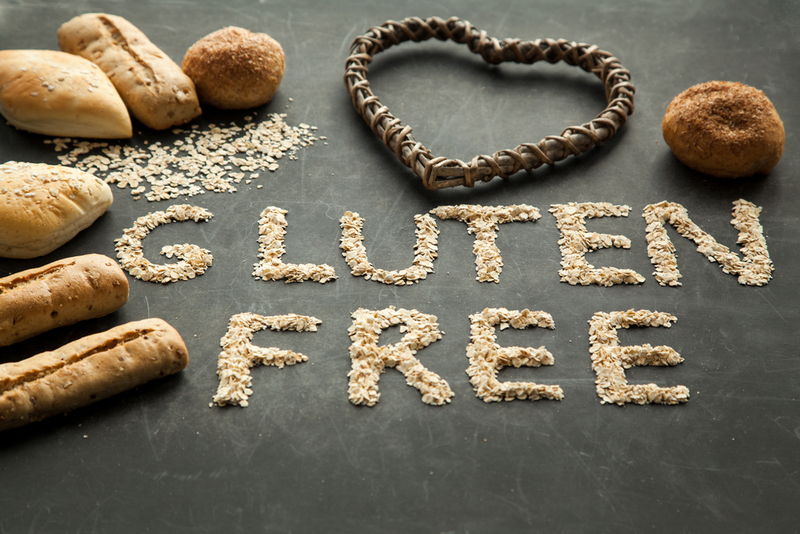 It is important to educate yourself on the subject of gluten to learn how to best avoid it. Sensitivities, intolerances, and celiac disease can be much more than frustrating. Use your favorite search engine to locate free education resources. There are celiac information and gluten-free cookbooks available for free online.